Our monthly meet ups are held at The Funky Monkey Coffee Shop in Davenport, Stockport. They are informal and parent led. 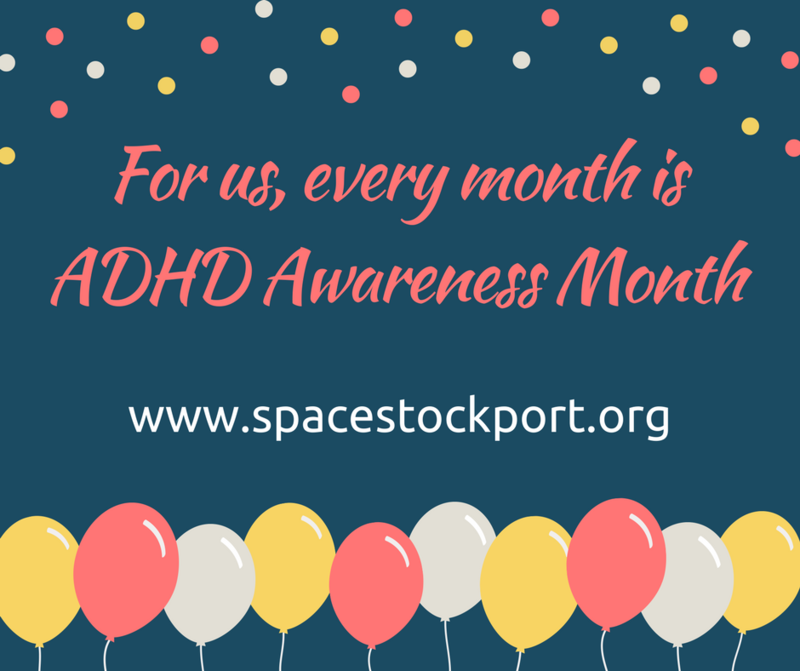 The committee responsible for the group are all parents of children with ADHD. From time to time, we bring in expert speakers to share useful information with the group and help signpost agencies and services that can be useful for families with children who have ADHD. If you are a parent or carer of a child with ADHD but can’t join us for coffee, you can still connect with the group online via Facebook and Twitter. We have been lucky enough to be supported by Funky Monkey Coffee Company, who have been our home for the last few years. They stock an amazing range of food and drinks including everything from gluten free sausages to hot chocolate with whipped cream and marshmallows. Over the years the SPACE meetings have been held in a youth centre, a pub and a hospital and we’ve found that Funky Monkey Coffee Company has everything we were looking for. The most important thing to us is that parents and carers can spend time with other parents, have a chat and feel relaxed. The SPACE meetings for the rest of the year are already booked. View all the dates for 2019.